The following selection of our print edition books are now available in digital eBook format, compatible with most electronic devices, Kindle, Kobo, Sony, and eReader apps like iBooks, Kindle, etc., capable of reading popular eBook formats, PDF, ePub and Mobi. Some eBook are currently only available in PDF format, while others contain multiple formats at no extra charge. Check the DETAILS tab to see the formats that are available for each book. Please be sure to read the download instructions, as delivery to various devices, like Kindles, is not automated, leaving you free to download all or some of the formats you prefer. The Bible’s Guide for Men Seeking a Better Marriage. 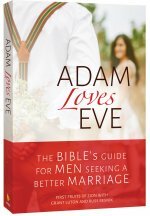 Unlike the type of advice you might find in most marriage books, Adam Loves Eve goes straight for the medicine by bringing the Messiah’s kingdom message into your marriage. 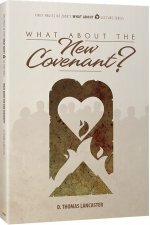 This book, for men-only, will not only change your marriage, it will change your life. 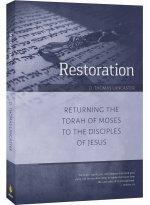 Restoration presents a riveting case for a return to historic biblical faith, and is a compelling tool that presents the beauty of Torah life to friends and family. 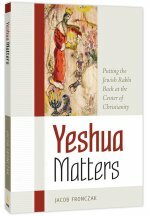 In easy-to-understand terms, D. Thomas Lancaster demonstrates that Torah is indeed for Christians. 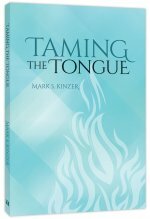 This book is gracious, compelling and balanced! The 10th anniversary edition contains three new chapters! 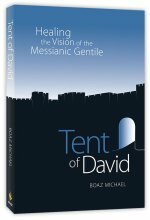 A Devotional Study Through the Five Books of Moses. 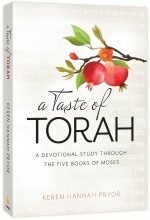 In her devotional commentary, Keren Hannah Pryor gives you a taste of the sweetness of God’s Word and the inspired instruction of his Torah. She gleans from the wisdom of Jewish sages and commentators as well as Christian insights into the Tanach (Old Testament), and conveys them in a gentle but profound manner that will inspire and inform every student of Scripture. 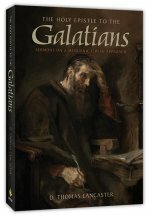 Bible readers generally understand Galatians as Paul’s dissertation against the Torah and against Judaism. 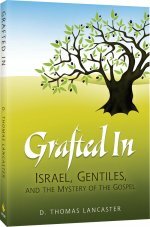 More than any other book of the New Testament, Galatians defines the line between Messianic Judaism and greater Christianity. 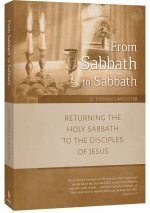 In an easy-to read, narrative style, Torah Club author D. Thomas Lancaster, takes his readers from one end of the epistle to the other, challenging conventional interpretations and offering new insights to reveal the Jewish Paul. Is the mitzvah of binding the commandments to hand and head to be understood literally? Should believers wear tefillin? Did Yeshua wear them? 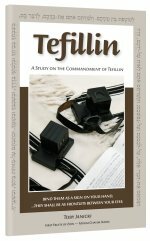 Learn about the history and symbolism of the sacred commandment of tefillin. Janicki examines the Master's perspective on the subject and looks into the origin of the practice. 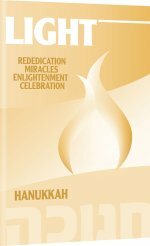 An eye-opening, in-depth introduction to one of the most sacred rituals in Judaism and a thorough study of the subject from a Messianic perspective. 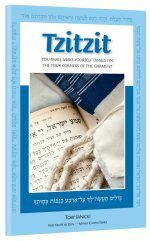 Tzitzit takes you on an in-depth study of this peculiar mitzvah. 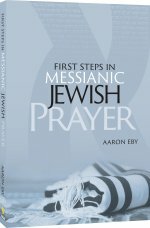 This book addresses all the issue, plus the difficulties involved in the practical application of this commandment for both Jewish and Gentile believers in Messiah. 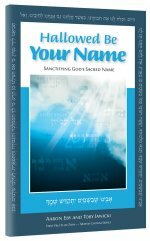 The Torah commands us to sanctify God's Name, but our English versions of the Bible go so far as to conceal his Name. 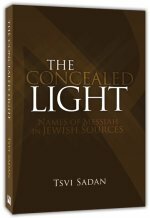 Cut through the condemnation, misinformation, and superstition regarding the Sacred Name. Understand the historical, linguistic, and theological implications of keeping God's Name holy. 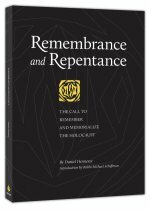 Hallowed Be Your Name is an insightful and gracious look into one of the most vexing arguments in the Messianic Jewish movement. 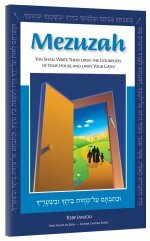 The new Mezuzah booklet helps us discover the scriptural basis for the tradition of the mezuzah and its history from the time of Moses to the present day. Study the mezuzah's symbolism and how it reveals the work of Messiah in our everyday lives. 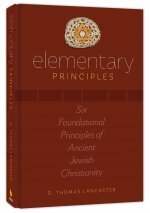 Every commandment serves a unique purpose in the whole of God's law. Deuteronomy 8:10 teaches that a simple prayer plays a significant role in God's law and our life. 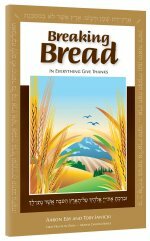 Breaking Bread presents foundational biblical perspectives and understanding of traditional blessings for before and after meals. 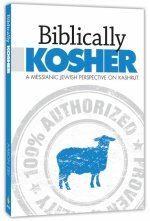 Includes an introduction to the table blessings of the early believers in Yeshua. Christian anti-Semitism built the road that led to Auschwitz. In the Holocaust, two thousand years of anti-Jewish replacement theology culminated in genocide. European Christianity sat as if bewitched in the cold darkness of indifference just outside a fiery circle of doom while the ovens roared and the smoke of six million innocent Jewish lives filled the skies over Europe. This book is about remembering what happened in the past, understanding how we contributed to the nightmare, and learning from those mistakes to change the future. Tu Bishvat, the New Year for Trees, is a beautiful time to herald new life after a long and dormant winter. In the seventeenth century, a new custom arose to celebrate Tu Bishvat with a seder, a ceremonial meal inspired by Passover. 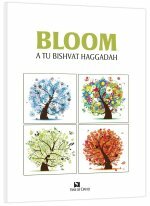 Bloom, Vine of David's new Tu Bishvat Haggadah, is inspired by the story of the early pioneers of the modern State of Israel. This seder reflects upon the dreams of a Jewish national homeland in the Promised Land throughout the centuries and its culmination with Zionism in the nineteenth and twentieth centuries. Bloom is simple and not deeply mystical. It focuses the modern return of the Jewish people to their land as a part of the broader plan of world redemption. 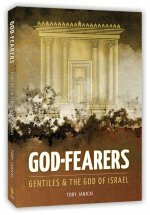 The re-establishment of the land of Israel is a continuing miracle in our days that causes us to think about God’s faithfulness to his covenant. As a result, we can thank the Lord through celebrating Tu Bishvat with all Israel. Perhaps you have never heard of Tu Bishvat, and have no idea about how to celebrate it. That’s okay! 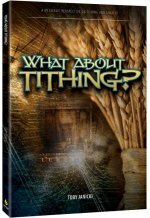 First Fruits of Zion has a great resource for you. 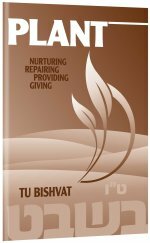 In "PLANT" you will learn all about the holiday of Tu Bishvat. We see depictions of him in movies, paintings, and stained-glass windows. We hear about him from the pulpit and the stage. We read about him in the Gospels. As his disciples, we follow him; we revere him; we glorify him. But how well do we really know him? Yeshua Matters is the story of a pastor who discovers that Jesus Christ was not just a Jewish person, but a practicing Jew, a teacher of Judaism—a rabbi, known during his earthly ministry as Rabbi Yeshua of Nazareth. 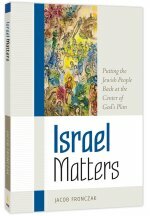 In Israel Matters, the author of Yeshua Matters takes a theology centered on Rabbi Yeshua of Nazareth one step further. 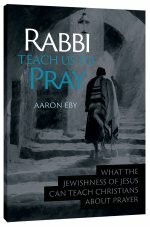 Once we realize we are following a practitioner of Judaism, the King of Israel, and the promised Savior of the Jewish people, what happens to our theology of Israel? 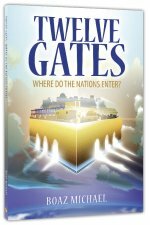 Twelve Gates examines the Ephraimite/Two-House theology to help solve the identity crisis that exists in the Hebrew Roots Movement. The biblical education of Jewish children begins with Leviticus, a book largely about the sacrificial system. 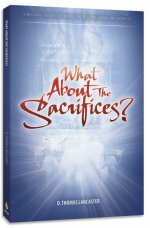 The animal sacrifices, however, are especially repugnant to modern Christians who see them as a temporary provision until Messiah's final atonement for sin. By studying the sacrifices we gain insight into God's instructions for approaching him in worship, and a better understanding of Yeshua's work on our behalf. Before you purchase an eBook, please check the DETAILS tab to make sure it is sold in a suitable format for your use. PDF: (files have the .pdf extention). This format is widely associated with Adobe Acrobat Reader software, although the PDF format can also be read by some dedicated e-readers, and other software.